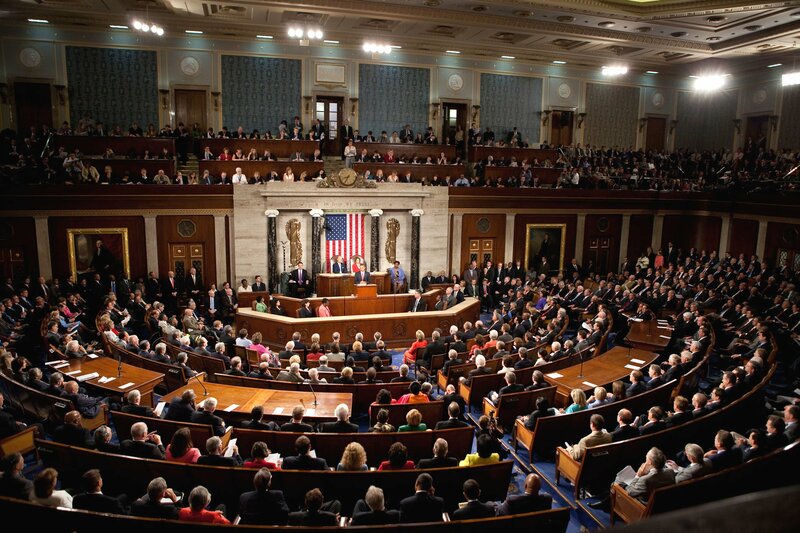 The US Congress has eventually passed the Countering America’s Adversaries Through Sanctions Act by a nearly unanimous vote. In case you were wondering, the deadly adversaries of the United States are currently: ayatollahs; a baby-faced dictator; and … Russia. One section of the bill that pertains to Russia is titled Countering Russian Influence (!) in Europe and Eurasia, which would introduce additional restrictive measures against Russian individuals, legal entities, and entire sectors of the economy (primarily affecting trade in arms, energy, and finance) – a de facto usurpation of the US president’s power to abolish either new or existing restrictions without Congressional approval. Next, the bill will land on the Oval Office desk. This is the harshest package of sanctions since the Cold War. But it is unusual in that the costs of introducing the new sanctions will fall upon … America’s European partners. The rounds of anti-Russia sanctions that were previously imposed by the Obama administration and foisted onto the EU have already cost the European business community tens of billions of euros (Italy alone has lost more than four billion euros). 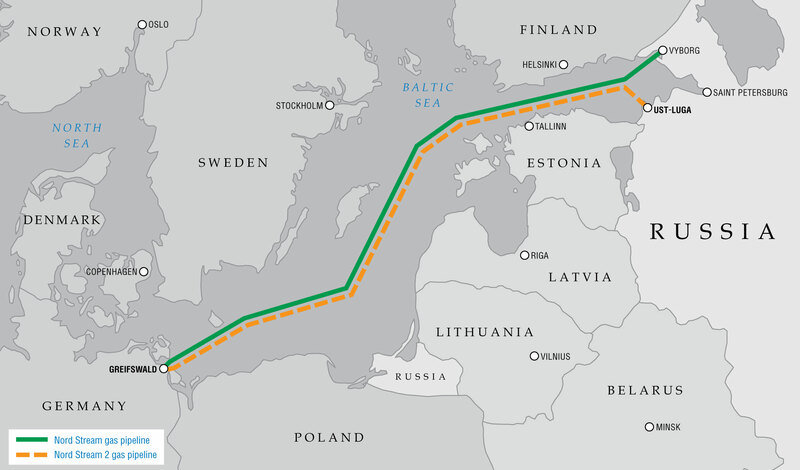 If the bill passes in its current form, it will effectively halt the plans for the Nord Stream 2 gas pipeline project, aimed at providing Germany and other EU countries with cheap Russian gas by making a detour around the erratic country of Ukraine. The American and European businesses that aspire to have a hand in that project, as consultants, contractors, suppliers, and investors, will find themselves with the sword of Damocles hanging over their heads. Washington unabashedly proposes to improve Europe’s “energy security” by providing them liquefied natural gas from the US. Seemingly having forgotten about the dogmas of the “market economy,” Washington is lecturing its allies about how security is worth the extra money. But when European countries counter that they have no wish to pay tens of billions of dollars for the dubious privilege of buying gas that is more expensive than Russia’s, Washington dismissively waves aside their protests. However, the statistics speak for themselves: since the sanctions against Russia were imposed in 2013, Russian imports from the US have increased from 2.1 to 2.8%, while purchases from the EU have dropped from 52 to 48.2%. It seems that Europe has begun to realize that it is the scapegoat in this game of sanctions. The president of the European Commission, Jean-Claude Juncker, has already declared that if the US tactics have a negative impact on the interests of the EU, Brussels will be “ready to act appropriately within a matter of days.” Some believe we might see an economic war break out between the US and the European Union. Actually, that conflict has de facto begun, as Europe has already been hit with a series of blows from across the ocean. European banks, for example, have paid tens of billions of dollars in fines to US financial regulators in the last few years. Brussels (the European Commission) and Frankfurt (the European Central Bank) have also begun to take a closer look at the American banks in Europe, but so far Europe’s financial battering has not been comparable to the astronomical level of the fines imposed by the US regulators. Clearly Europe does not have a great many genuine opportunities to stand up to the US. The main incentive keeping the EU within the American economic orbit is its trade surplus with the US, which totals $146 billion (data from 2016). To be sure, this figure will soon decline sharply, judging by Trump’s commitment to plugging the holes in the US trade balance, but that card will continue to be played as long as it is a compelling consideration. There’s a good reason why Trump’s entourage is attempting to convince him to go ahead and sign the sanctions bill without making a big fuss, because it will then become the tool he will use to keep his promise to “balance” the trade deficit with Europe. The Infernal Serpent is always Europe, the home of two world wars.